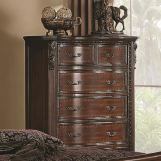 Traditional elegance will be brought to a whole new level with the exquisite Maddison Collection by Coaster. 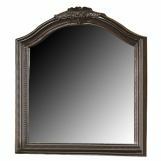 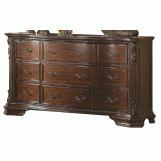 The bedroom pieces carry a warm brown cherry finish and include several distinct features, including ornate wood carvings, crowned tops and roped detailing. 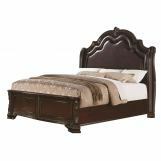 The faux leather tufted headboard makes it easy to sit up and read a book or watch some television. 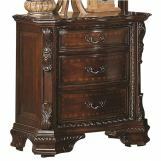 Plus, the multiple storage options are wonderful for keeping books, magazines, pens, sweaters, jeans, blankets, towels and bedsheets. 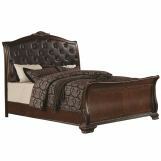 Add both luxurious style and space to your bedroom decor with the Maddison collection.